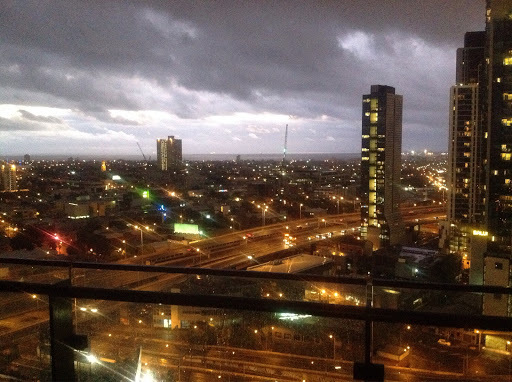 And so, the road trip ended back in Melbourne on New Year’s Eve, where we checked in to our 22nd floor apartment on the Southside with stunning views over the bay . . . 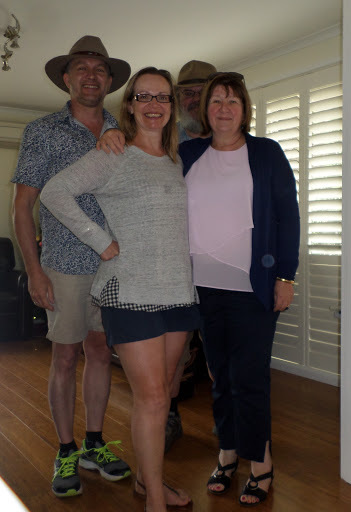 The plan was to offload all the clobber and set off to Geelong, sans offspring who were on the town with young people, to spend NYE with Neil annd Darlene, old friends from the 1980s. Some readers will know, from personal experience out on the bevy in the Dolphin with Neil, that a gruesome end awaits this sort of activity. 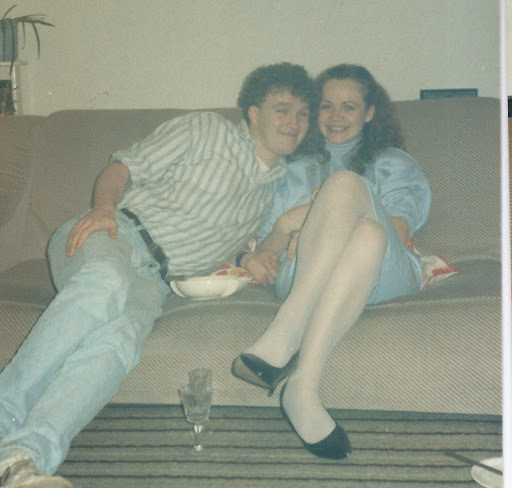 I was banking on the fact that age must must have slowed him down consideraby in the intervening 29 years since we last spent NYE together – on that occasion in our student flat in Plymouth, where the air became like a 1950s London smog as the evening wore on because we smoked like Ivor the Engine at the time . . .
. . . note my excellent hairstyle and shoulder pads in S’s dress. This time the occasion called for a barbie in Neil’s back yard because the temperature was in the 20s, plus numerous bottles of rather excellent red wine from his extensive cellar – so yes, I was feeling slightly jaded the next day, but perked up somewhat after the restorative of one of the Queenscliff, Rolling Pin Bakery Jumbo Chunky Beef Pie, judged Australia’s Best Pie 2013. 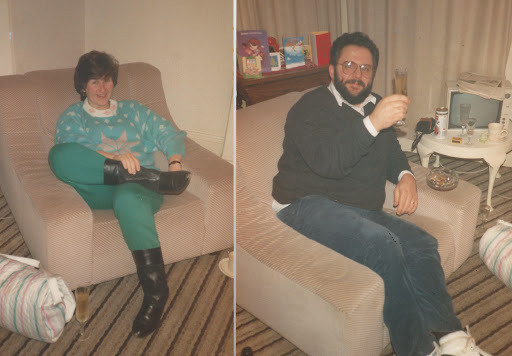 Once my blood alcohol had metabolised to below the 50 mg/100 ml limit we bade farewell . . .